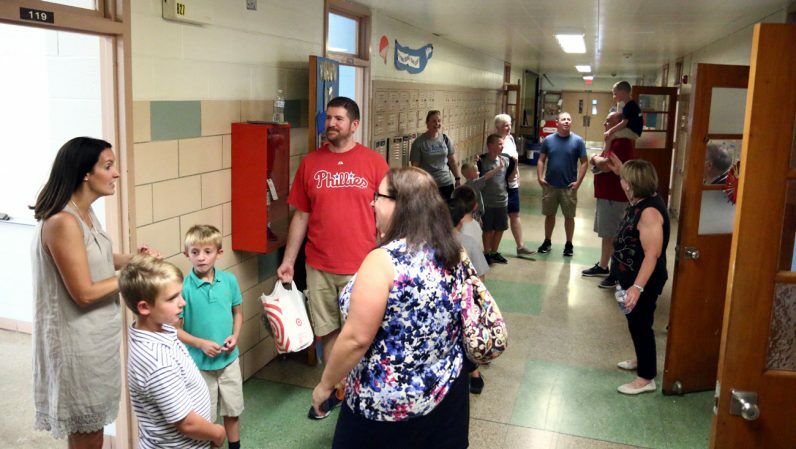 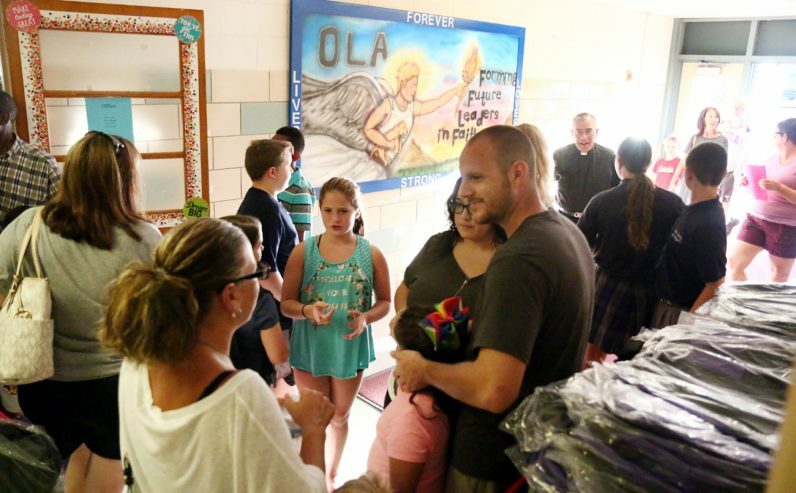 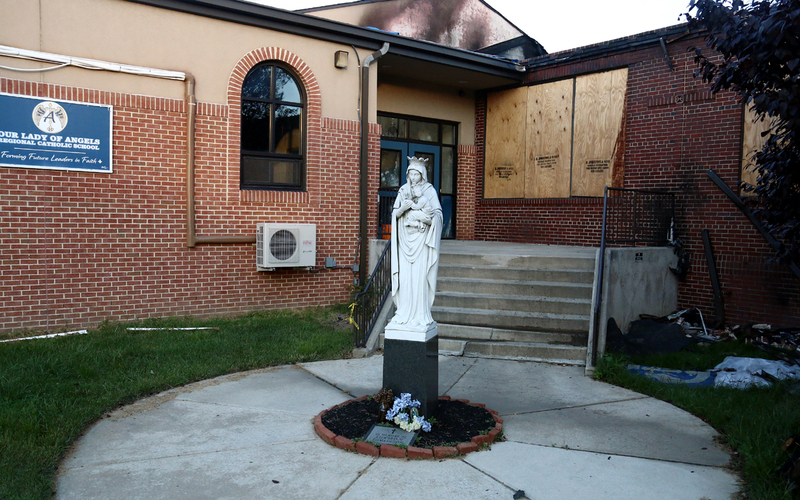 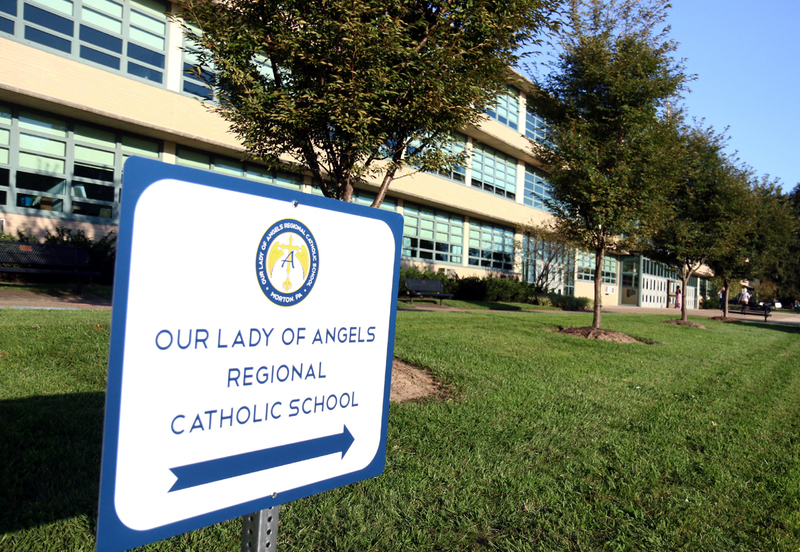 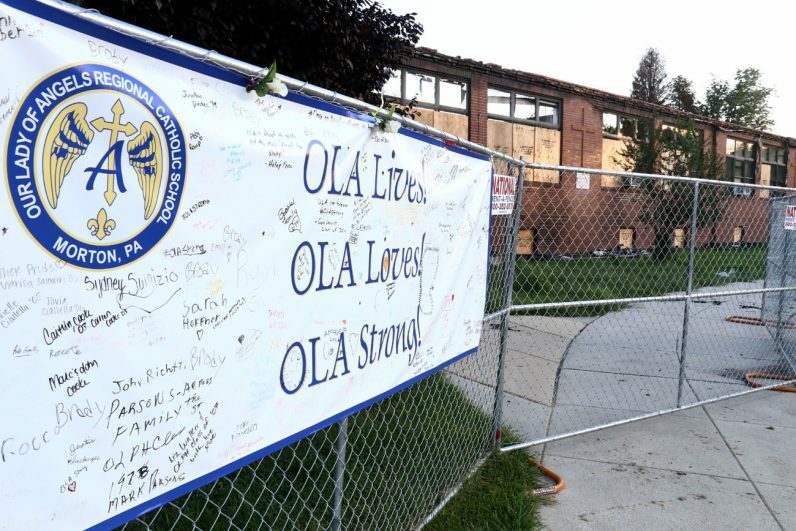 Read our feature story on the school’s relocation and rebuilding efforts. 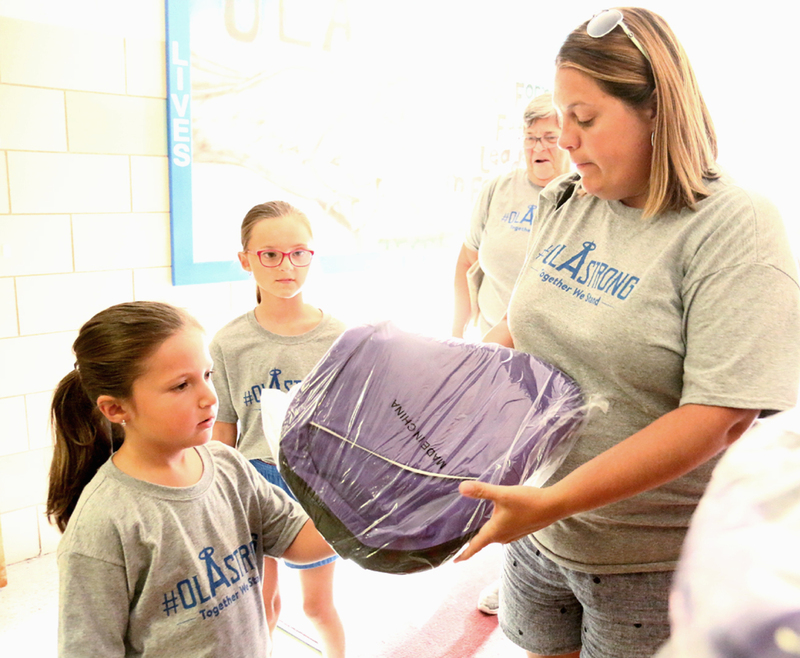 Beth Folino helps her daughters Mia (left) and Anna select backpacks, which were available for all of the school’s students. 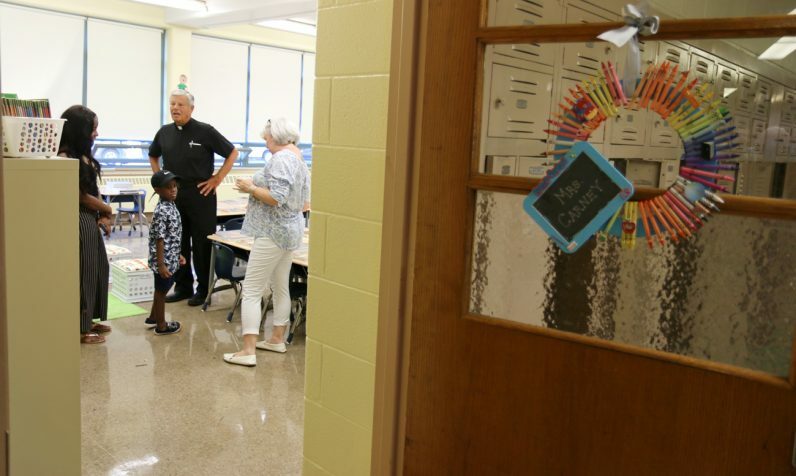 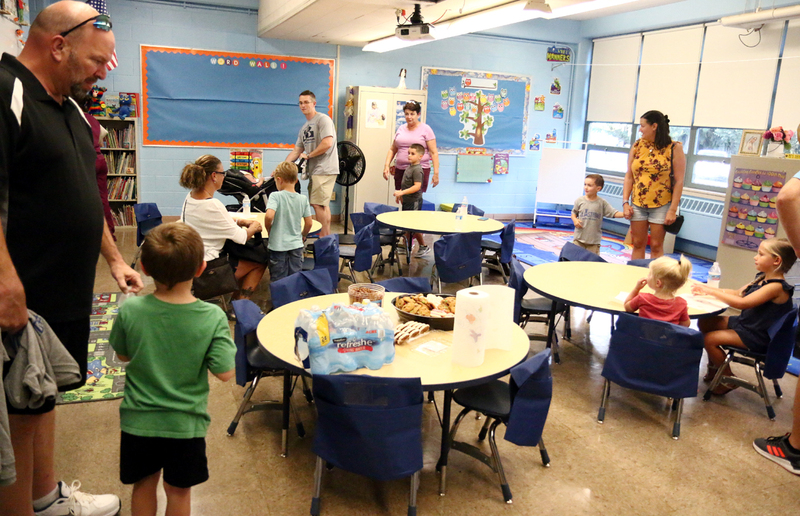 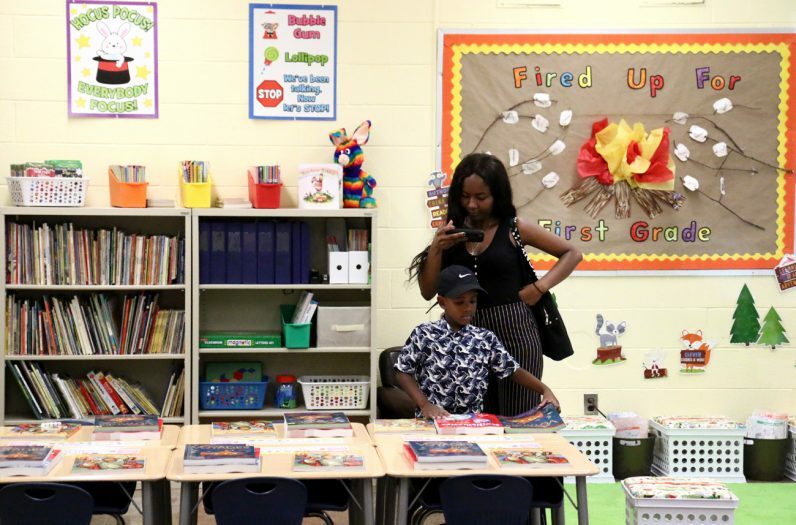 Ronnie Robbins and his mom Rosie Voltaire check out his new seat in his first grade classroom, temporarily located in a wing of Cardinal O’Hara High School. 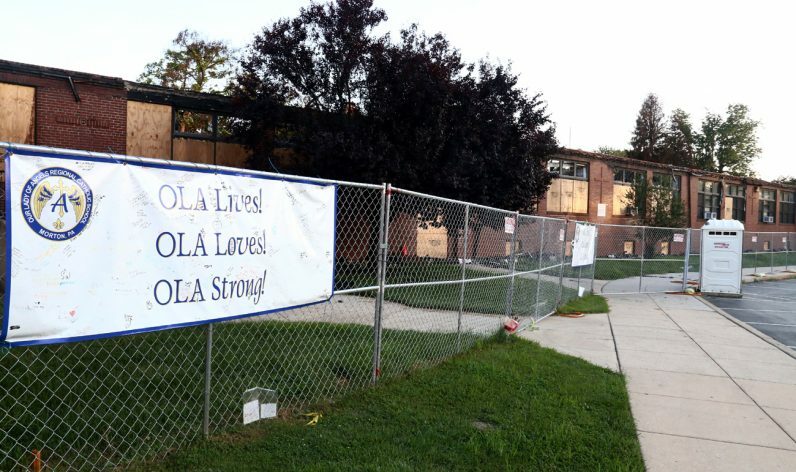 A banner with words of support hangs on the safety fence surrounding the remaining structure of Our Lady of Angels Regional School, damaged in a July 18 fire.